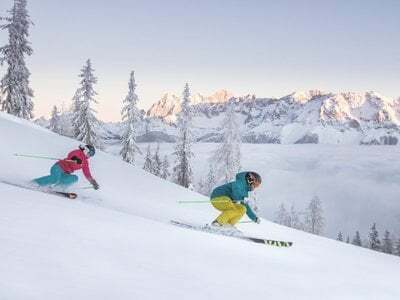 The breath-taking location with its view overlooking the imposing Dachstein Massif gives your stay in the hiking- and ski area of the region Schladming-Dachstein that is to be found directly at the piste right in the middle of the hiking area a distinctive magic. The exquisite and stylish ambience, accurate in every detail, the intimate and cosy resort shows the combination between the modern age and tradition – by the way this brings out the natural flavor of our house. The pleasant smell of Swiss Stone Pine, the taste of wild herbs, the gentle sound of nature and the view on the unspoiled beauty of nature are your companions with health awareness. Warm and committed hosts, an individual and family servicing concept, service quality at high levels exclusively combined with style and friendliness that is what is expectable at Höflehners’. We are loving nature! We are close to nature and an ecologically managed company. We have made it our business to keep the natural paradise for future generations. In Höflehner’s Bergbad & spa with pools, a bathing and sauna area, bio swimming pond, the Stiller Alm and much more – as well exclusive massages & beauty treatments that you can sense the power of nature. Our natural cuisine without flavour enhancer and food commodities, instead of this a lot of own recipes created by seasonal and regional ingredients that are convincing each and every gourmet – serving nature with each menu item. 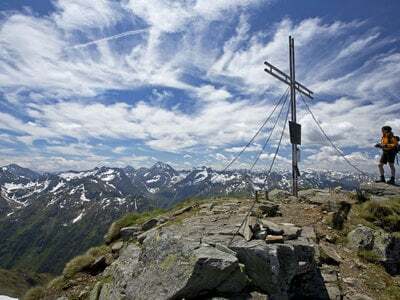 We are your perfect partner for holidays with professional hiking offers. Explore the surrounding area together with the mountain guide of that region and enjoy the benefits of outdoor equipment and services. Directly located in front of our hotel entering the 4 mountain ski alliance Schladming-Dachstein and enjoy kilometres of pistes by different difficulty levels at snow-safe altitude. For your holidays in agreement with nature we offer you numerous appealing offers and a great number of choice for free services – try it!